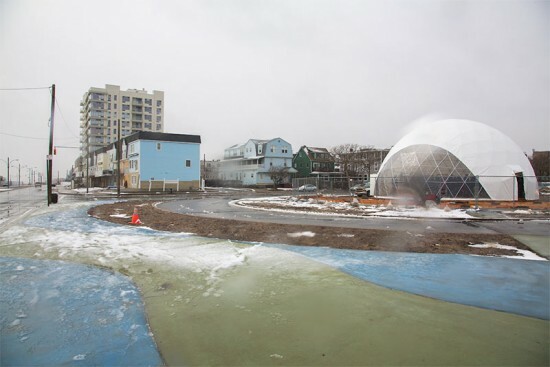 Rockaway Beach, the waterfront community severely battered by Hurricane Sandy, is now the site of MoMA PS1’s geodesic dome, a temporary cultural center offering lectures, exhibits, performances, and community events. PS1 kicked off the opening of the VW Dome 2 last Friday with a performance by singer Patti Smith, a fellow Rockaways resident. The museum will collaborate with local organizations in Queens to provide a range of programming over the next few months. 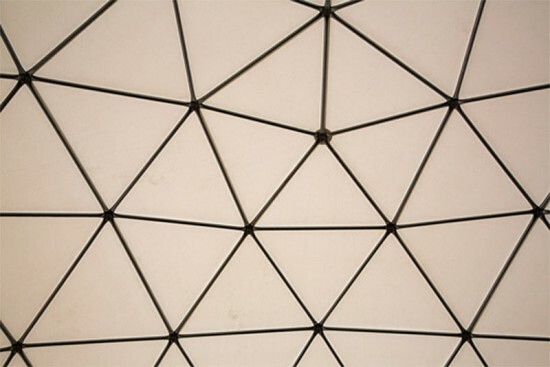 The VW Dome 2 is part of a larger upcoming exhibit, EXPO 1: NEW YORK, that will present a variety of ideas and strategies to create a more sustainable waterfront. Last month, MoMA PS1 called on artists, architects, and designers to submit 3-minute video proposals that address relevant issues such as shoreline protections, community engagement, and climate change. 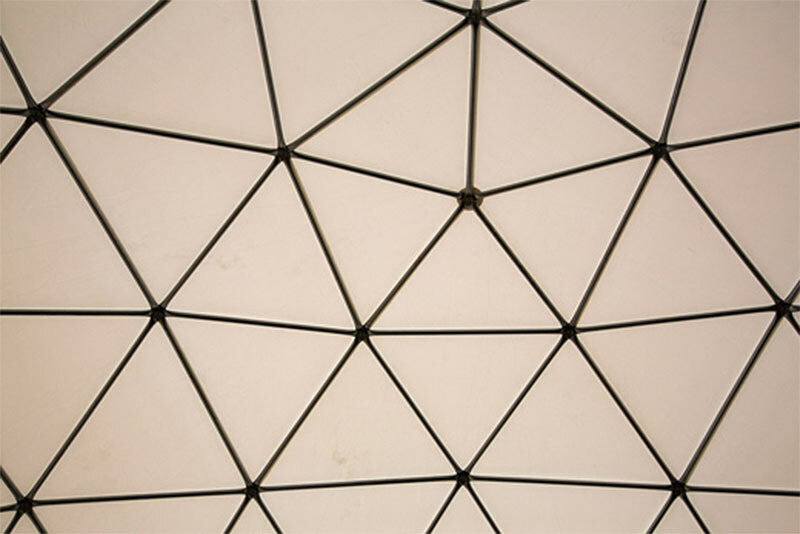 The 25 winning submissions will be on view within the next month. Of course, this discussion would be incomplete and shortsighted without the feedback from the local community. 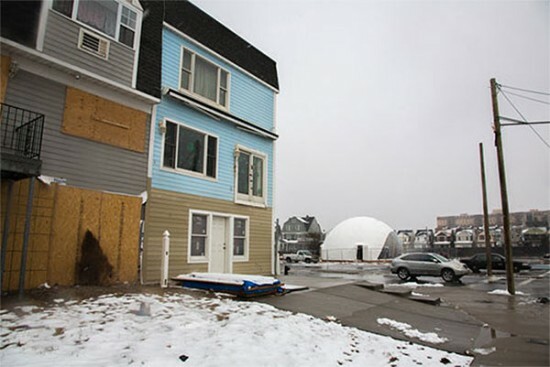 Kevin Boyle, editor of The Wave, and Ideas Wanted-columnist Rick Horan have set up a video camera inside the VW Dome 2 and invited residents to participate in a conversation about the recovery efforts and needs of the Rockaways. The first Open Camera Session took place on Saturday, but locals will have another opportunity to offer their input tonight between 6:30 and 8:30 PM. 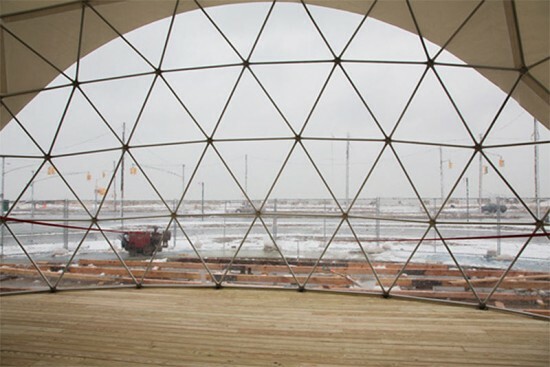 The VW Dome 2 is located at the southern end of the parking lot between Beach 94th and Beach 95th Streets.